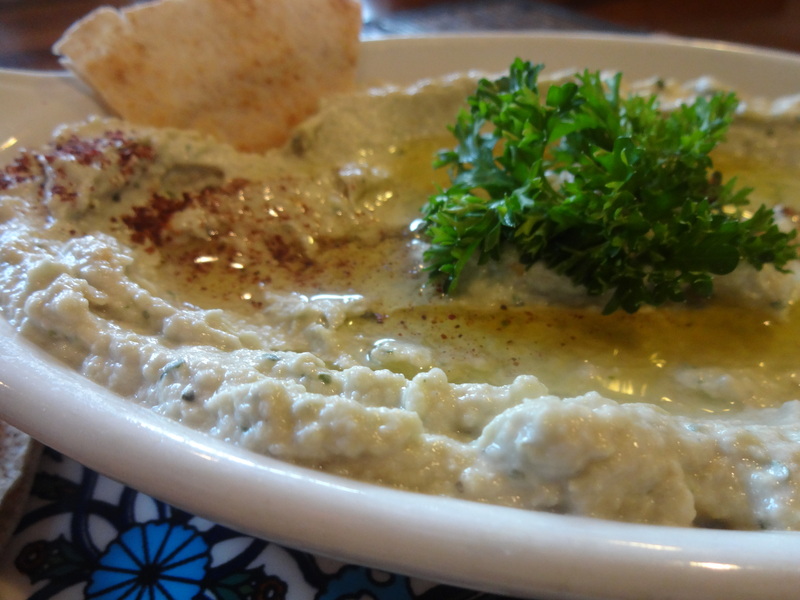 Baba ganoush is a smoky eggplant dip, made from roasted eggplant and tahini sauce. 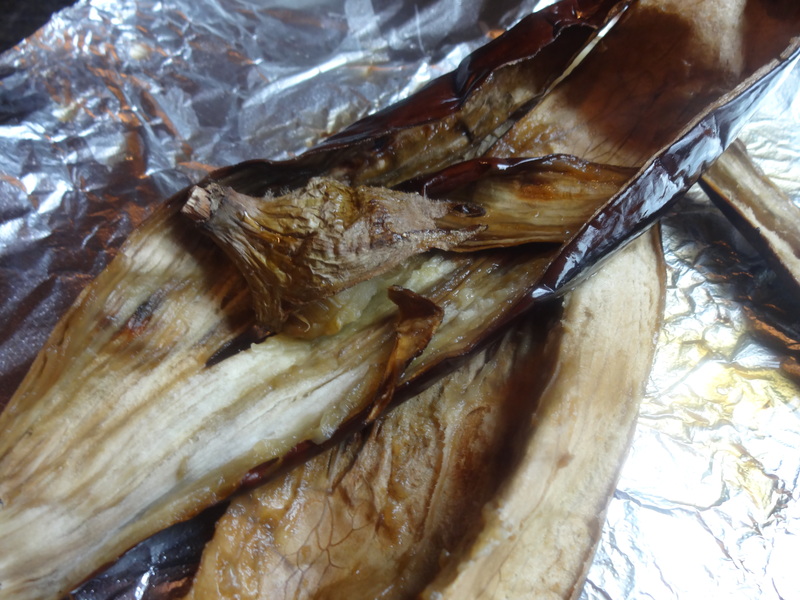 Broiling or grilling the eggplant gives it that smoky flavor. 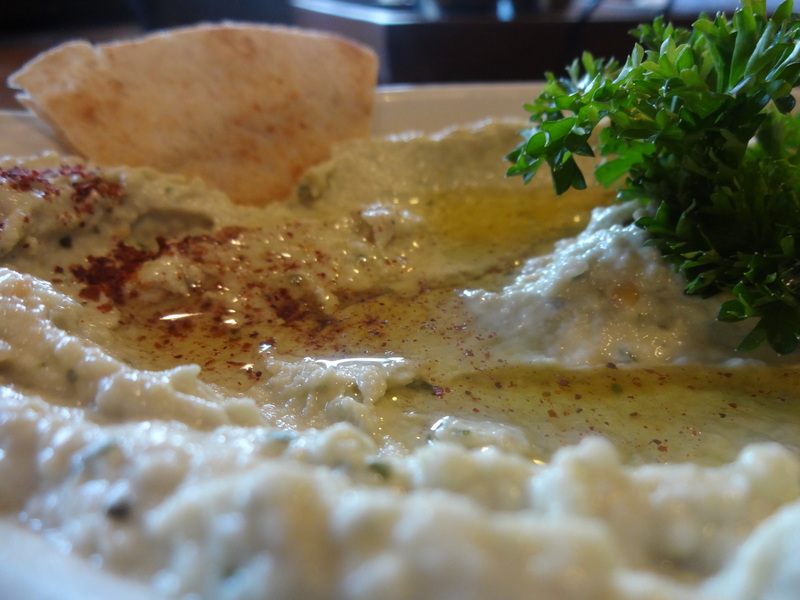 Light and healthy, baba ganoush tastes yummy when it’s fresh and better if it’s saved in the fridge for the next day’s lunch or snack. In Palestine it’s often served with barbecue. Poke the eggplants with a fork in both sides, place the eggplants in the oven and roast for 25-30 min until the eggplants are soft. 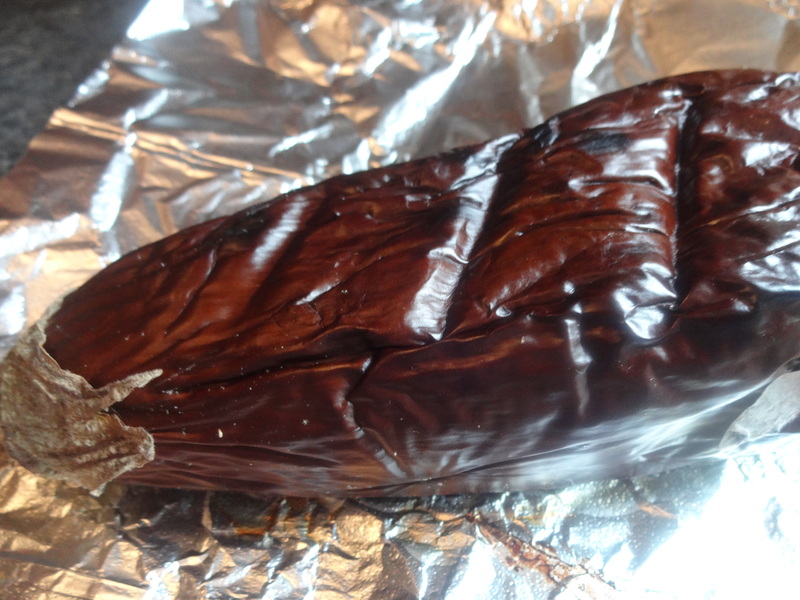 turn on the broiler and broil the eggplants for a couple of minutes on each side to give the smoky flavor. 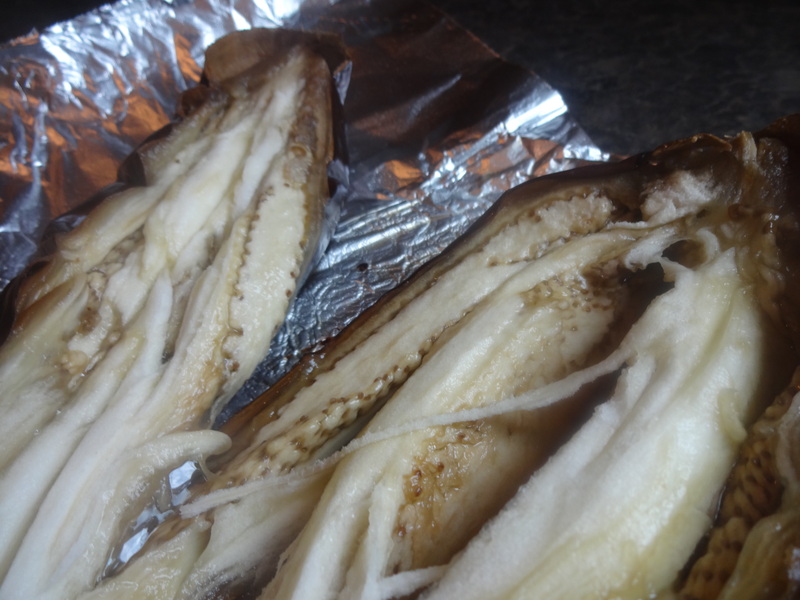 Remove the roasted eggplants from the oven, set them aside to cool down, and to release the excess water. 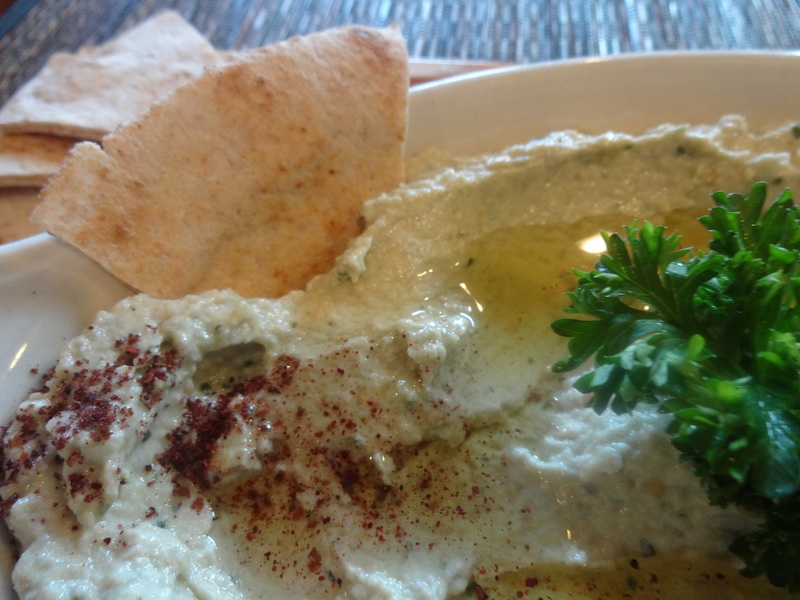 In a large bowl combine the tahini, crushed garlic, lemon juice, cilantro and salt and mix them together. Peel the eggplants, mash them, and add it to the tahini mixture. 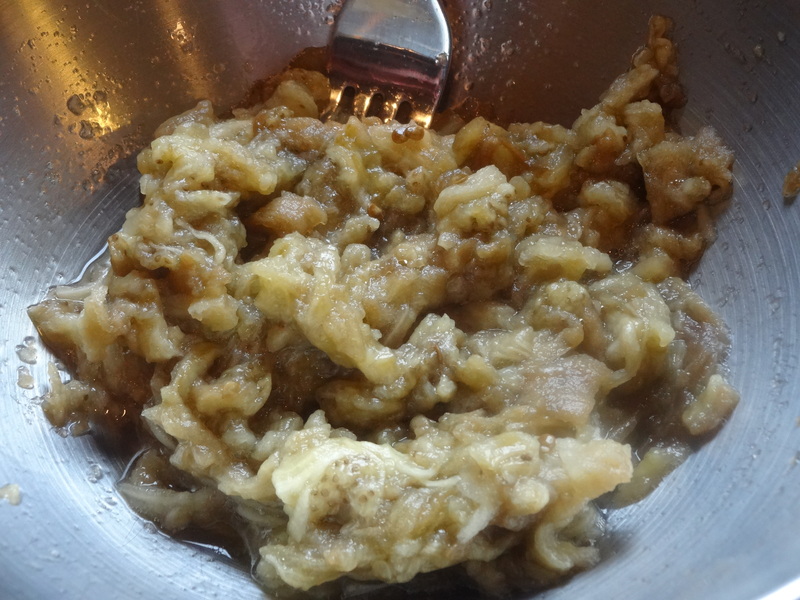 You can always use the food possessor to puree the eggplants if you don’t like the thick texture. 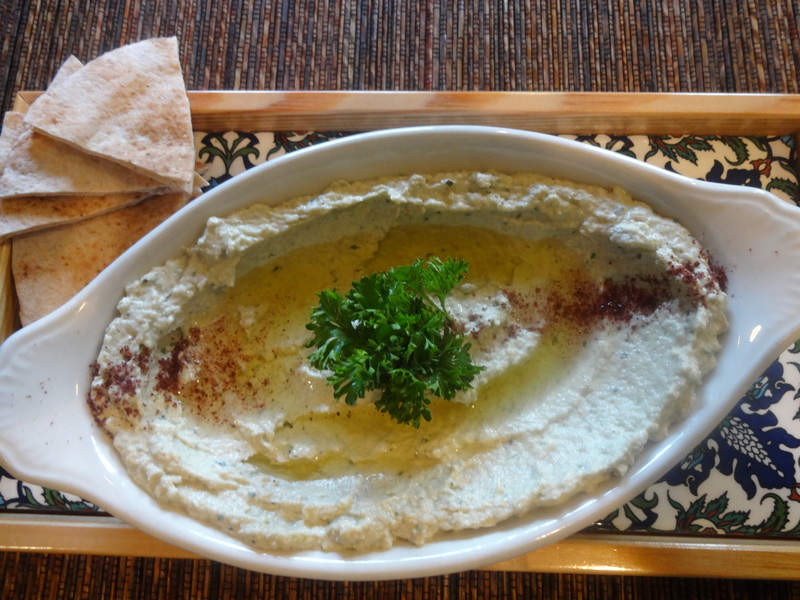 Arrange the eggplant dip on a serving plate, garnish with parsley and drizzle with olive oil. Oh I love baba Ganosh. This post is making me hungry. Glad you like it! Let us know if you try our recipe!